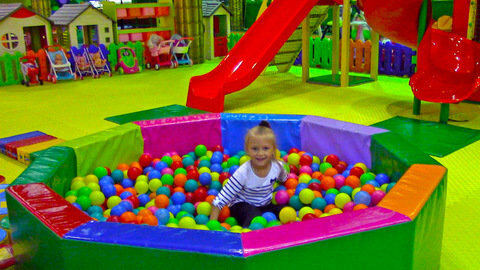 Energetic Yasya jumps into a colorful ball pit to help kids learn colors with this episode of her vlog for kids. She also enjoys other parts of the playground for kids including the colorful bouncy balls, yellow and orange hanging merry-go-round and the blue stroller for her baby doll. Sing to lots of baby rhymes like “The Alphabet Song” while she enjoys the playground. For other videos that will help your kids learn, visit SeeZisKids.com.